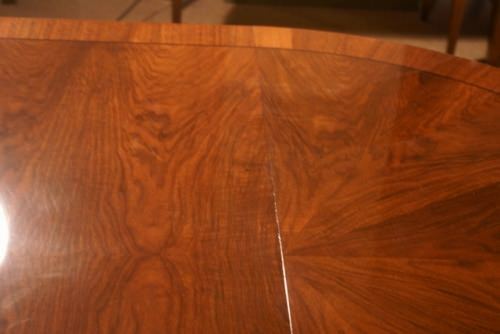 A rice bed is one that is carved from mahogany or cherry wood. 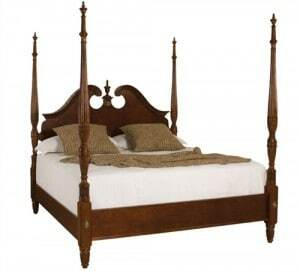 The bed has four posts and the headboard has a hump and is also slightly taller than the foot board. Brimming with memories of the Old South, rice beds bring back the grace and elaborate carvings of a time gone by. A prosperous plantation, abundant wood, a skilled artisan, and bountiful resources combined to create a bed to reflect the fashion and charm of the antebellum south before its decline. While finding an authentic rice bed may be difficult, reproductions are accessible. 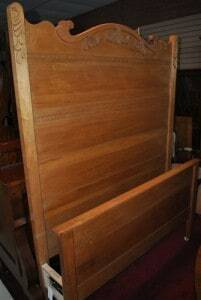 A sleigh bed is a style of bed with bowed or scrolled foot and headboards, making it look like a sled or a sleigh. Usually made of wood and very heavy, the sleigh bed is a product of the French and American Empire period of the early 19th century. The Empire style drew its inspiration from the empires of ancient Rome and Greece. Today, sleigh beds are made from an assortment of materials including wood, iron, steel and aluminum, and often possess less overstated curves of the foot and headboards. 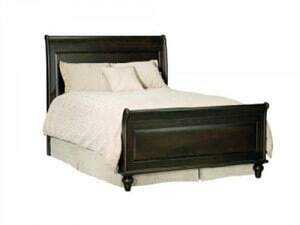 A panel bed is another expression for a platform bed. The beds are characterized by simplicity and permit the frame to support a mattress without using a box spring. Platform beds are capable of sitting very close to the floor because they do not need a box spring to hold up the mattress. Contemporary styles of platform beds come in a many different types of materials and varying degrees of decorative adornments. Platform beds come with or without head and foot boards for a very simplistic design.